Beachwalk mall has a very unique building. Shades of green in the building is very striking. Unlike like most malls, this mall has a concept of the rice fields in Bali. Terraced rice fields that are implemented at a mall in Kuta, a high esteem on the results of the local culture. 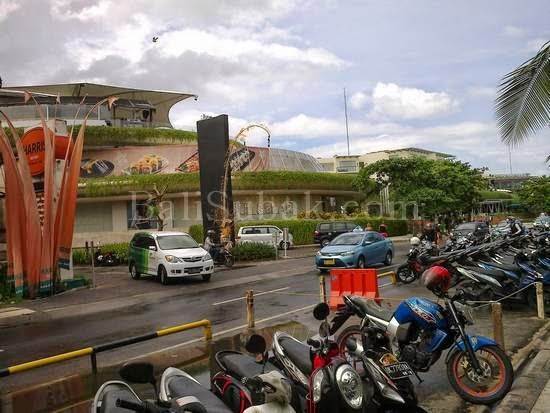 However, the absence of ornamentation and architecture of the Balinese in buildings of Beacwalk mall, is a violation of the local government regulations. The regulation clearly states that every building is made​​, especially in Bali, must be nuanced Balinese, by providing building ornamentation that characterizes the people of Bali. What's going on with the government, many new buildings are made in Bali, do not have a typical Balinese ornaments. Regulation does not run properly, it affects more and more buildings are made without the trappings of the Balinese. 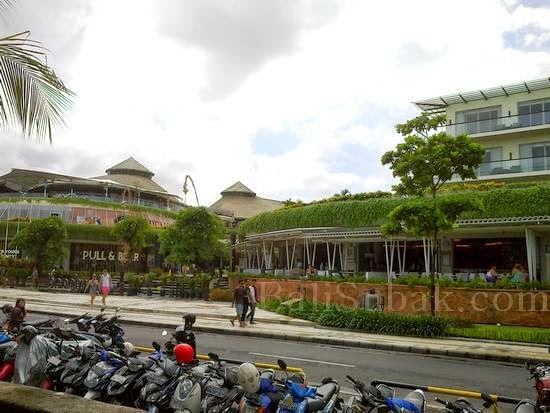 Beachwalk mall located in Kuta impressed with the addition of natural plant on the roof. Terraced rice fields impression is very pronounced when viewed from afar. Green plants such as grass on the edge of rice fields. If located upstairs in the mall, you will see a pool of water that adorn the building. Stagnant water as an irrigation channel in the rice fields. That give the feel of fresh water in the mall building. In the courtyard mall, there is a pond with terraced floors. Such as rice fields with a lake as a water source for irrigation. The pool is like a lake on the concept of subak in Bali. At Beachwalk mall roof, the roof conical, using a straw. Traditional impression is very pronounced, conical roof is a typical tropical house. Very appropriate to use this design in tropical sights. 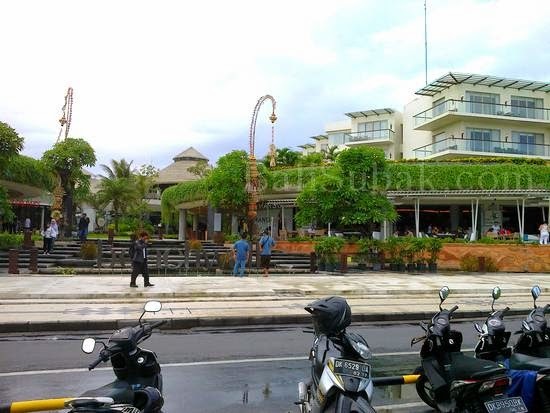 So the impression and feel of Bali are very visible in this building, even without the trappings of the Balinese. At night time, Beachwalk mall became a place to hang out by young people who were there. This mall is quite nice to hangout because of the proximity to the sea. The sound of music from the cafe next to the mall to make the feel more festive. 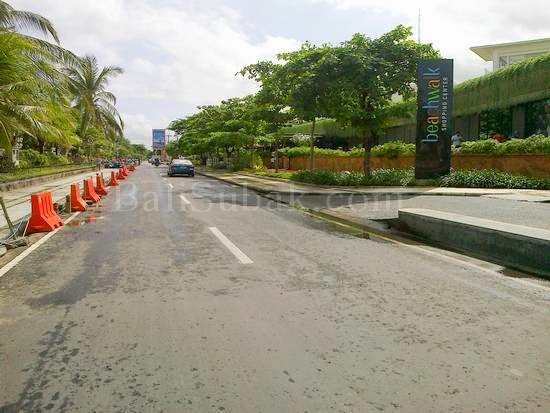 Beachwalk classified in new buildings and shops for residents of Bali. Not everyone knows about the mall. Younger people who've been to this mall, into a new story for their friends. Those who've been to this mall, and ahead of other friends, is a moment of pride to tell their friends. 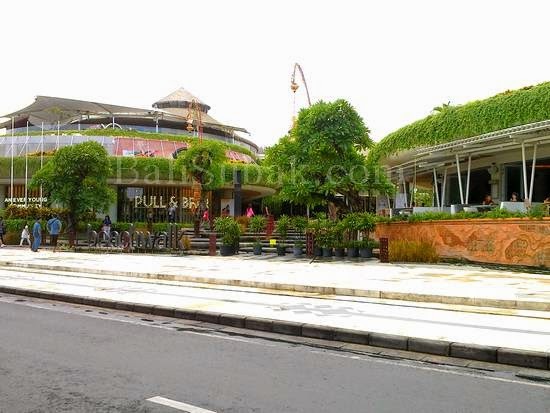 Since the mall is located in the center of Bali tourism, with many foreign tourists who visit it. When this article was created, the atmosphere in the mall is not so crowded. Many of the stores that have not been occupied by merchants. Stalls small amount can be calculated easily. Most of the shops in the mall filling is simply the product of the top brands. Because it was very setrategis, then the price on offer on every product sold in this mall is very expensive for the local population. When compared to the price of the clothes at the mall with in a regular store, so the price is very different.